Week of Welcome continues! Come meet our SGA and Wellness Ambassadors! The Winter Park Campus Student Government Association is where you can get involved and be the voice of our students, plan events, and gain leadership experience. 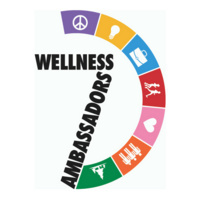 Our Wellness Ambassadors will introduce you to the 7 Dimensions of Wellness and what they mean for you!! Join them for some FREE giveaways, food, & FUN.